Owing to the excellent features, LDA overhead EOT Crane machine is able to meet the need of universal manufacture for light duty. The hoisting equipment is widely used in workshop, warehouse, factory, stock yard, etc. 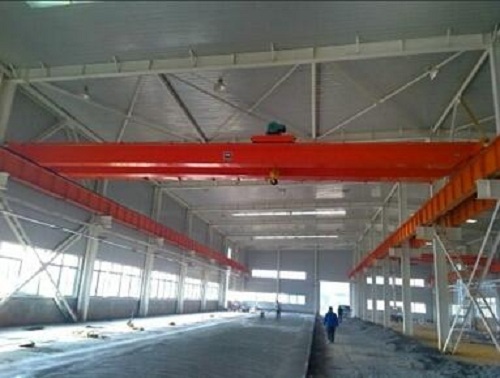 It is prohibited to use the LDA overhead traveling crane machine in the combustible, explosive or corrosive environment. HD type single girder EOT Crane is owing special features such as low light wheel, low dead weigh help lower down the cost for workshop construction. Duty Class A5 can working more frequently to fit the production increasing. help to have a strong business in near future! 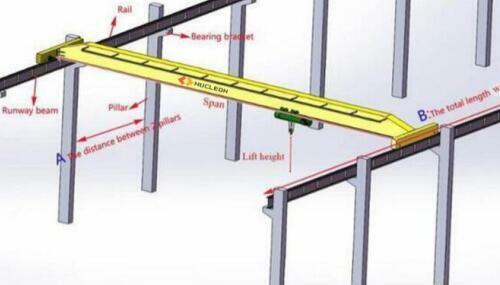 Step less control speed could also help the precise position and improve the working efficiency at same time. LH / QD double girder EOT Crane is a heavy lift equipment for general industry application. These type is more durable and reliable than single girder overhead crane. Duty class of LH double girder overhead crane is A3~A4 while this type can fit the low headroom very well. QD type is more heavy type.